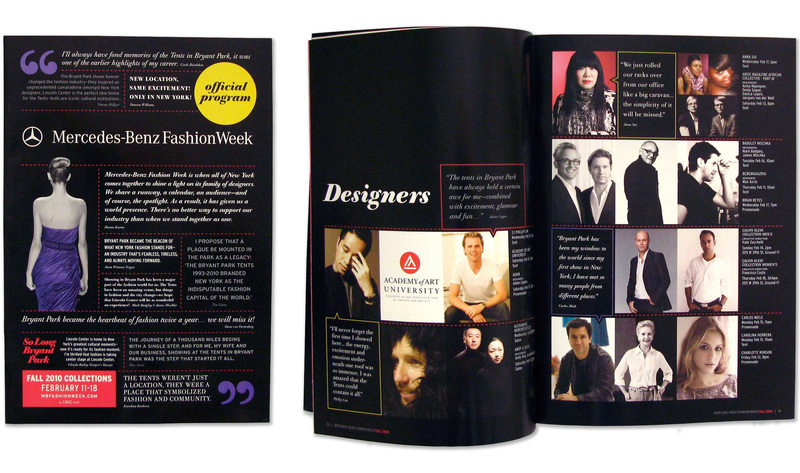 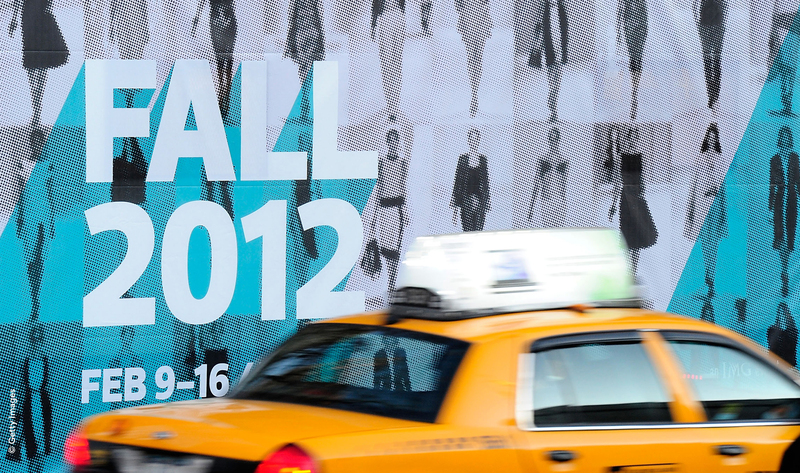 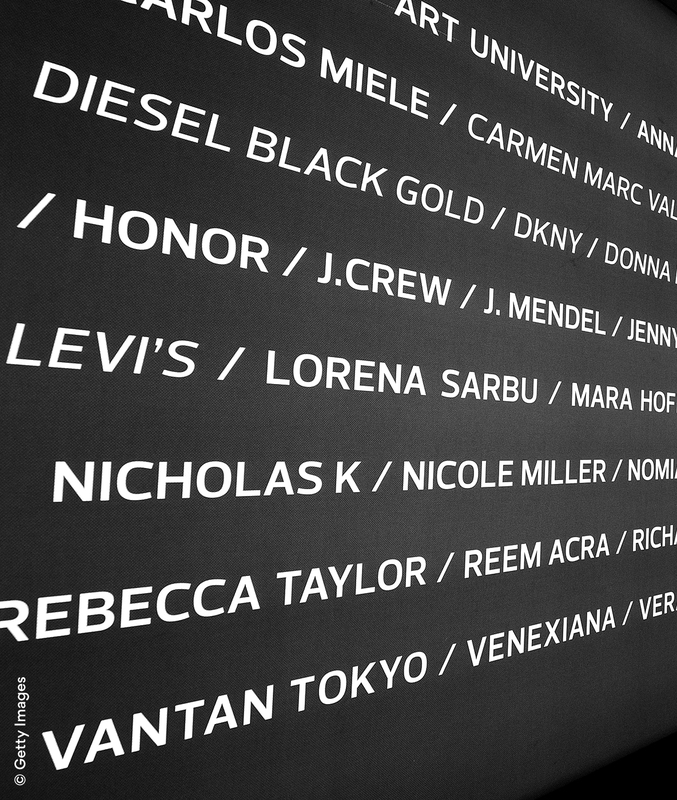 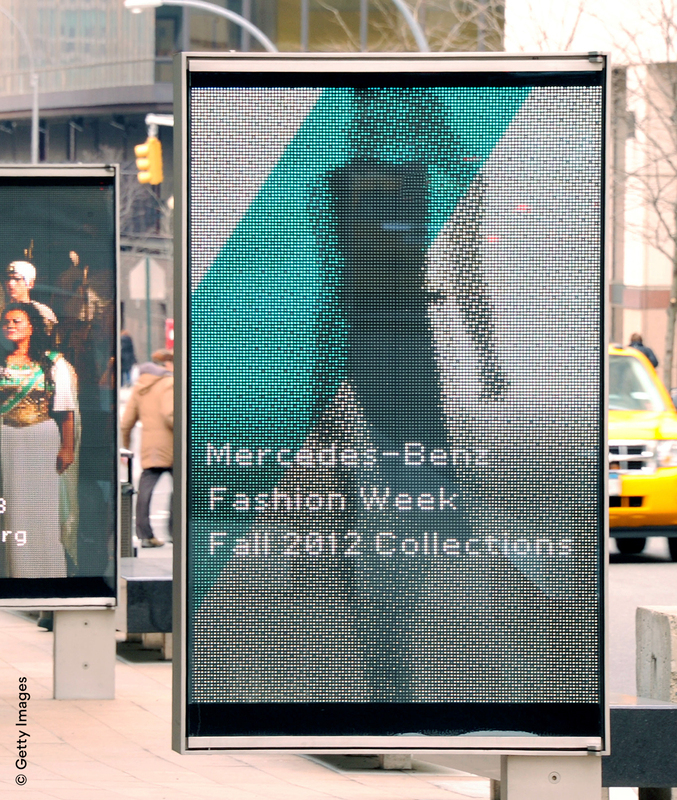 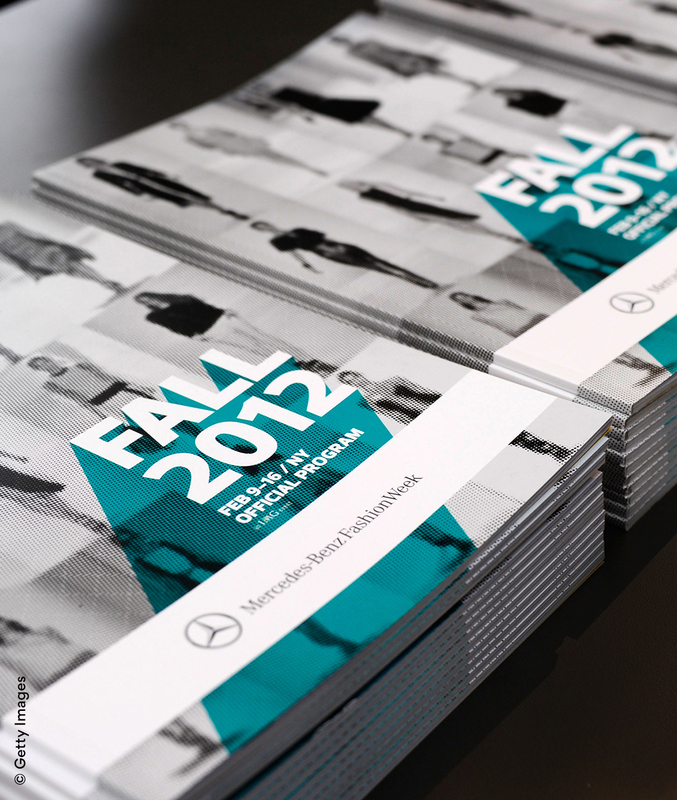 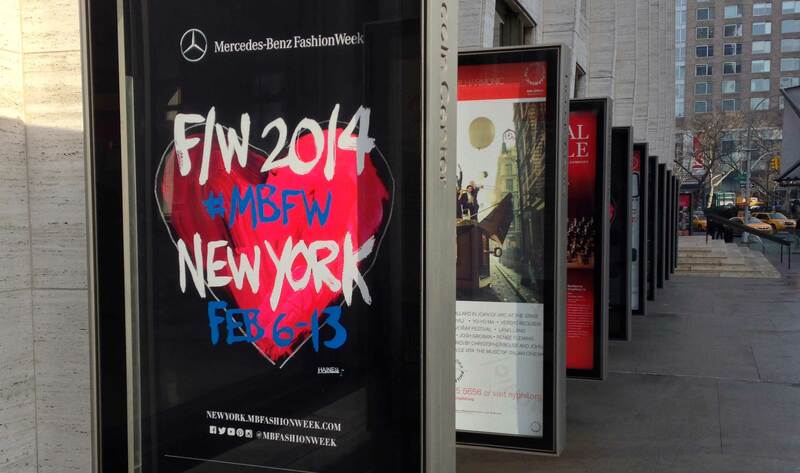 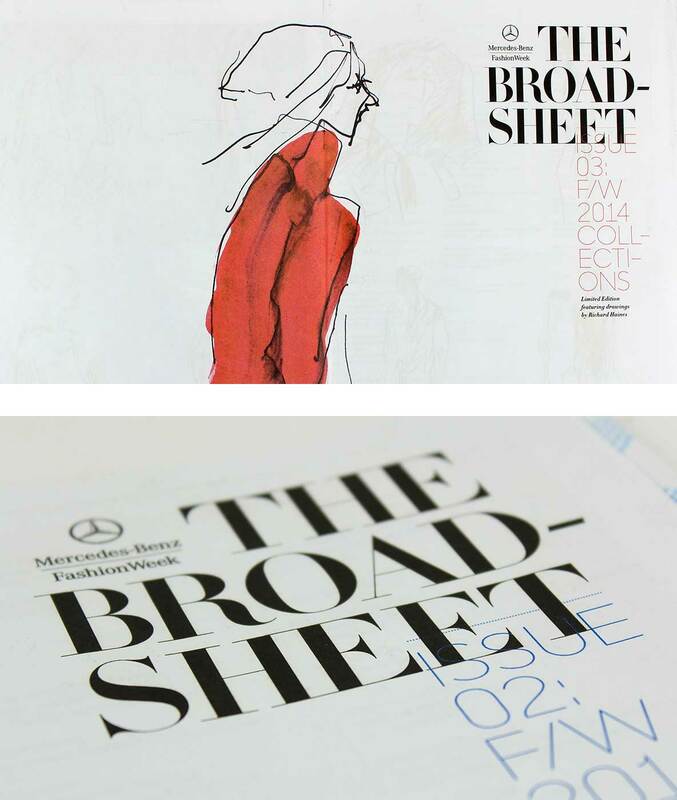 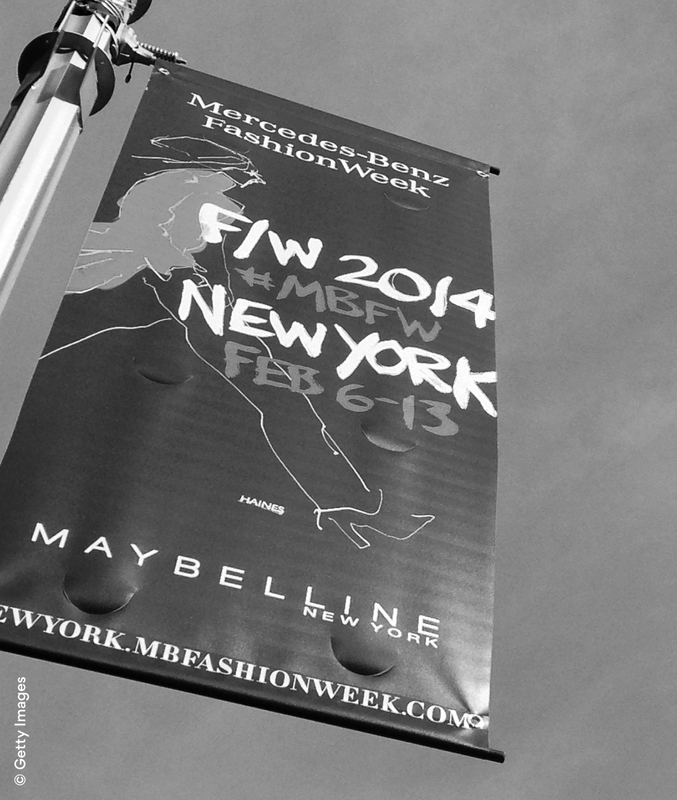 For 15 seasons, we provided event branding for New York’s Mercedes-Benz Fashion Week. 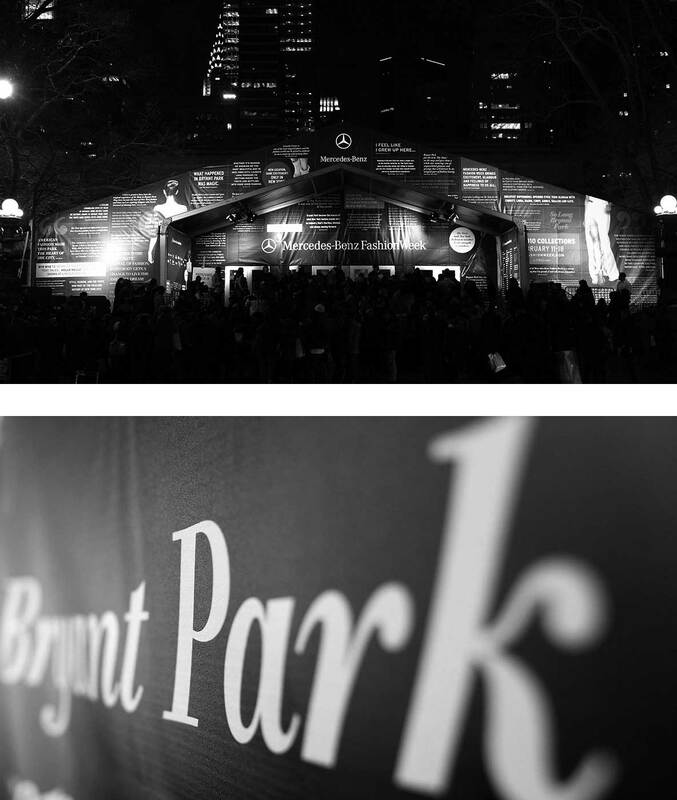 While in Bryant Park, we created an original theme for each season and applied it across all media, signage and event collateral. 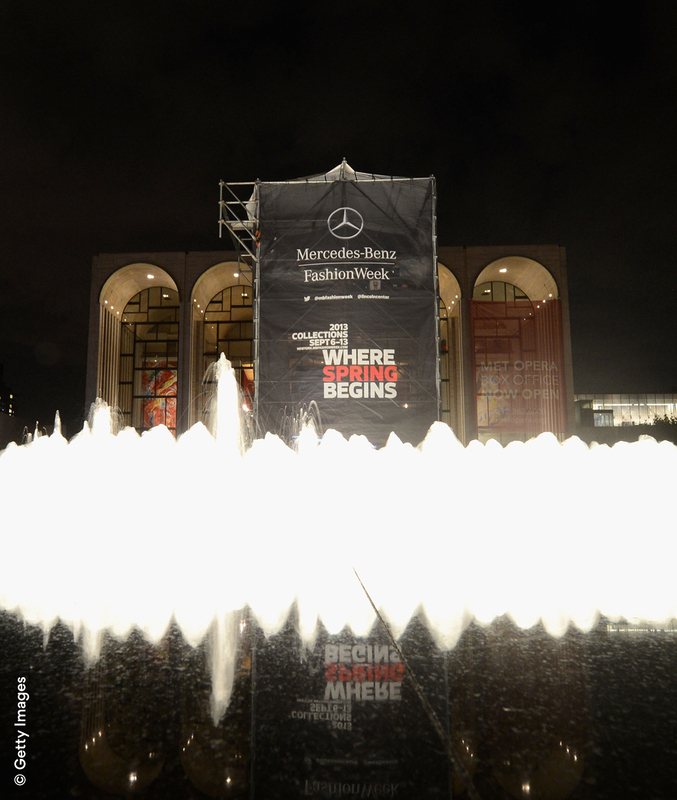 Then in 2011, when fashion week moved to Lincoln Center, we re-imagined the event branding to reside along side NYC’s premier performing art institutions. 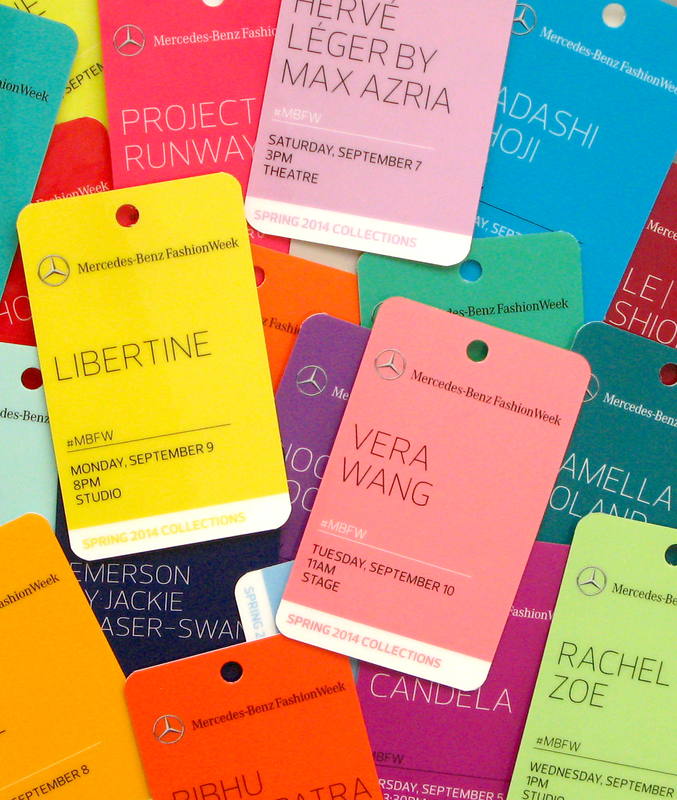 We defined type treatments, pattern and illustration style and applied each across all signage, advertising, online platforms and printed materials promoting this bi-annual event that attracts global attention. 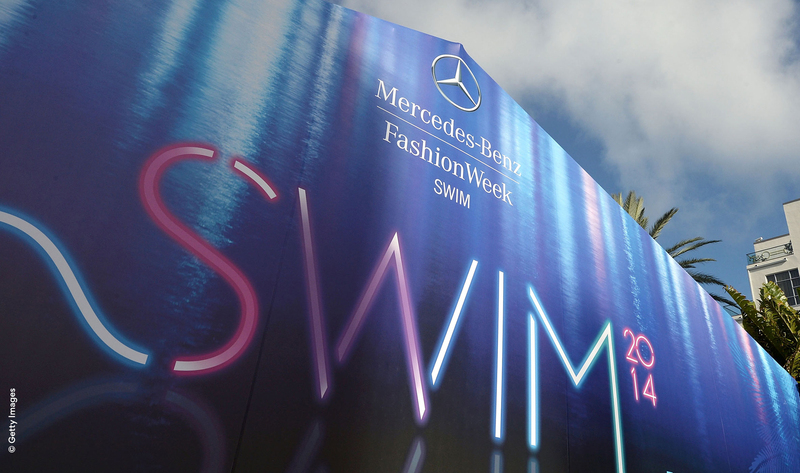 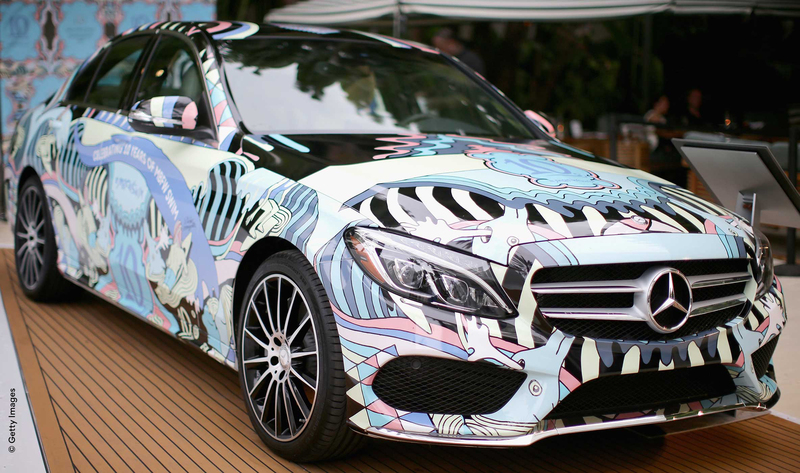 Similarly, the event branding for Mercedes-Benz Fashion Week Swim’s annual international event reflects the trends in resort and swimwear inspired by the vibrancy of Miami. 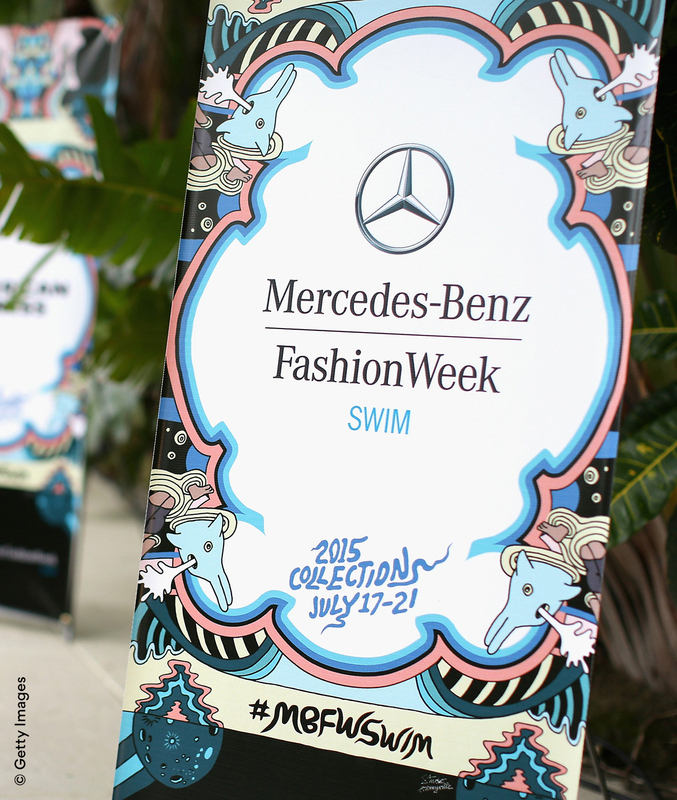 For 9 seasons, we created the branding for the event as well as all signage, advertisements, on-site collateral and online campaigns.